Austin, Texas, February 22, 2017 – South by Southwest® (SXSW®) Conference and Festivals (March 10-19, 2017) announced the World Premiere of Life directed by Daniel Espinosa as its Closing Night Film on Saturday March 18, 2017 at the Zach Theatre. Columbia Pictures and Skydance’s Life is a terrifying sci-fi thriller about a team of scientists aboard the International Space Station whose mission of discovery turns to one of primal fear when they find a rapidly evolving life form that caused extinction on Mars, and now threatens the crew and all life on Earth. Life features an ensemble cast of Jake Gyllenhaal, Rebecca Ferguson, Ryan Reynolds, Hiroyuki Sanada, Ariyon Bakare, Olga Dihovichnaya. The film is directed by Daniel Espinosa, written by Rhett Reese & Paul Wernick and produced by David Ellison, Dana Goldberg, Bonnie Curtis, and Julie Lynn. Columbia Pictures and Skydance will release the film on March 24, 2017. SXSW also announced several titles titles set to screen at the 2017 event, including world premieres Atomic Blonde directed by David Leitch and featuring an ensemble cast including Charlize Theron, James McAvoy and John Goodman, and Parker Smith’s Ramblin’ Freak. Another addition includes a celebratory 10th Anniversary screening of Gary Hustwit’s Helvetica, plus VR projects Miyubi and The People’s House by Félix Lajeunesse and Paul Raphaël. Virtual reality and augmented reality technologies are finding new ways to enhance our ability to perceive the world that surrounds us, and in many instances they are redefining how we experience the world. The 38 projects presented in our new Virtual Cinema emphasize storytelling, ingenuity and also showcase how other industries are embracing this new medium. Love in the age of obsolescence. An intimate tour of the White House that gives the viewer extraordinary access to explore the iconic institution’s profound history – from the past eight years of the Obama administration to defining events of the last two centuries. The pioneering design documentary Helvetica premiered at SXSW in 2007, and kickstarted a wave of dozens of design films that have been released since. Join director Gary Hustwit for this special 10th Anniversary screening of Helvetica. 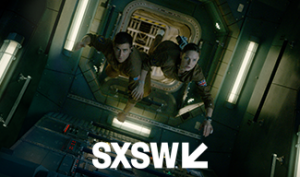 Now in its 24th year, SXSW Film brings together creatives of all stripes over nine days to experience a diverse lineup and access to thousands of Conference sessions with visionaries from all corners of the entertainment and media industries. This year’s speakers include Apollo 11 astronaut Buzz Aldrin, Senator Cory Booker, actress Julia-Louis Dreyfus and the cast of Veep, GLAAD President Sarah Kate Ellis, Fleetwood Mac namesake Mick Fleetwood, pop singer and songwriter Kesha, actor Bob Odenkirk (Better Call Saul, Breaking Bad), WWE superstar John Cena, Nick Denton and Jeff Goodby, featured in Nobody Speak, the creative teams behind Animals and last year’s SXSW premiere of Preacher, Frank Oz (Muppet Guys Talking) and Leonard Maltin, and more. They join previously announced Keynotes Lee Daniels, Gareth Edwards, Jill Soloway, plus Featured Speakers Cheryl Boone Isaacs, President, AMPAS, and the Game of Thrones creators David Benioff and D.B. Weiss in conversation with GOT stars Sophie Turner and Maisie Williams. New for 2017, the Interactive, Film, and Music badges will now include expanded access to more of the SXSW Conference and Festivals experience. Attendees will still receive primary entry to programming associated with their badge type, but can now enjoy secondary access to most other SXSW events. SXSW dedicates itself to helping creative people achieve their goals. Founded in 1987 in Austin, Texas, SXSW is best known for its conference and festivals that celebrate the convergence of the interactive, film and music industries. The event, an essential destination for global professionals, features sessions, showcases, screenings, exhibitions, and a variety of networking opportunities. SXSW proves that the most unexpected discoveries happen when diverse topics and people come together. SXSW 2017 will take place March 10-19, 2017. SXSW is proud to be an official qualifying festival for the Academy Awards® Short Film Competition. The Best Narrative Short, Best Documentary Short and Best Animated Short winners become eligible for the Academy Awards. SXSW 2017 is sponsored by Esurance, Mazda, Monster Energy, Bud Light, Capital One, McDonald’s, and The Austin Chronicle.